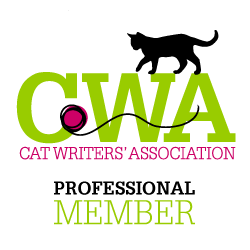 The world of social media is wonderful for discovering cat rescue groups, individual rescuers and blogs. I first crossed paths with Cats of Wildcat Woods via Instagram. 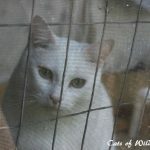 When I reached out to Cheri regarding a profile on how she helps feral cats, I finally realized that she has a blog as well, which some readers likely already know about and follow. If you are already familiar with Cheri and her blog, I hope you are able to learn a little more from today’s profile. 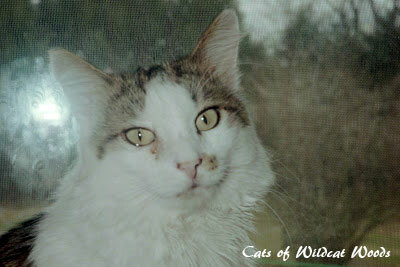 And if you’ve never heard about Cats of Wildcat Woods, I think you’ll find Cheri’s work inspiring. 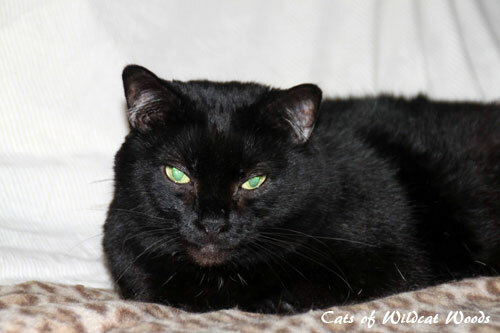 Cats of Wildcat Woods is a small independent cat sanctuary, with mainly seniors and special needs cats currently in their care. 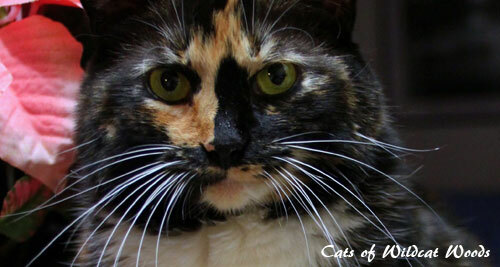 Cheri’s mission is: To be a voice for feral cats, especially ones with special needs. Can you describe how your sanctuary came to be? In 1999 my husband and I bought a 1920s farmhouse in the mountains of western North Carolina. Along with the house came a large colony of feral cats, living in the woods behind us. With the help of a neighbor veterinarian, we trapped, spayed/neutered and released them back outside to live out their lives. My husband built a warm insulated shelter for them out of an old kitchen counter. 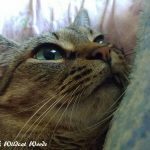 As they aged or developed medical issues, we brought some feral cats indoors to live with us so that we could better care for their special needs. This required weeks or months of hands on work to tame them and get them used to being indoors. By 2005, the original group had died off or been moved indoors. Another group replaced them and the whole TNR project began again. 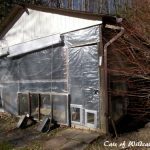 Knowing we were planning to move to a warmer part of the state, we began to trap and move the remaining colony into our home and a shelter we had built for them. I had asked our neighbors to care for the cats with us supplying the food and money for care after we moved but no one wanted to take this on. 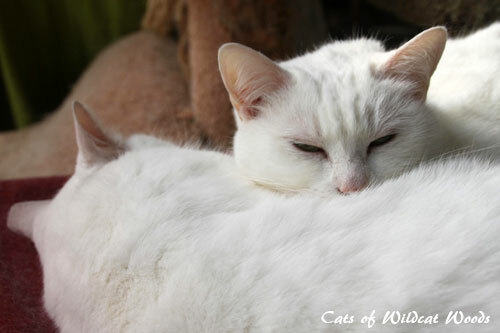 In 2008 we moved, taking 21 feral cats with us. At our new place, the older ones live inside the house with us and the younger ones have a safe shelter with a screen porch and warm, insulated indoor room. They are indoor only cats and have adjusted to life with people more or less (some more than others). We have added a few and lost a few so our number at present is 15 cats. We have six feral cats, one stray and one rescued senior inside the house with us, and seven feral cats live in the shelter, a few steps away. What is the hardest part about keeping up the sanctuary? Since this is all coming our of our pockets, the toughest part of running this sanctuary is the financial impact of caring for aging cats – the cost of veterinary care, medicine, special food, along with regular food. We have raised funds thru auctions and fund raising sites online to help us out when the bills get too high. Will you talk more about the fundraising you do online? I have held auctions online several times with corresponding Youcaring pages to raise money for specific vet hospitalizations. This is how social media helps tremendously in getting the word out. 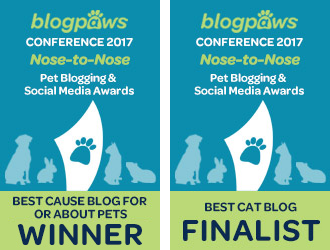 Thru our blog group, Cat Blogosphere, our Facebook, Twitter and Instagram pages, we can reach thousands of animal lovers. What is the best part about running the sanctuary? Obviously the love and companionship of all the cats. Each one is unique and has their specific endearing qualities. They bring love, humor and lightness into our lives. Each one has a special lesson to teach us – like patience, independence, joie de vivre, unconditional love. Do you ever adopt out any of the cats? 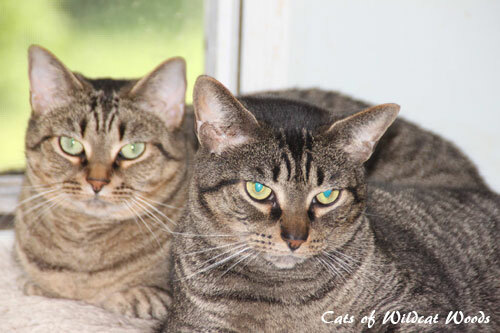 Being feral, these cats require a long adjustment period when going to a new home. Most people do not want to make that effort. They want an immediate lap cat. Many of mine will never be lap cats but that is OK with me. At my first home in North Carolina, people would drop cats off in the neighborhood when they no longer wanted them since they knew people were feeding cats there. 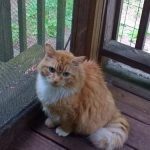 Here I found an older Persian (probably dumped) who I was able to place in a wonderful home. That was the only one. 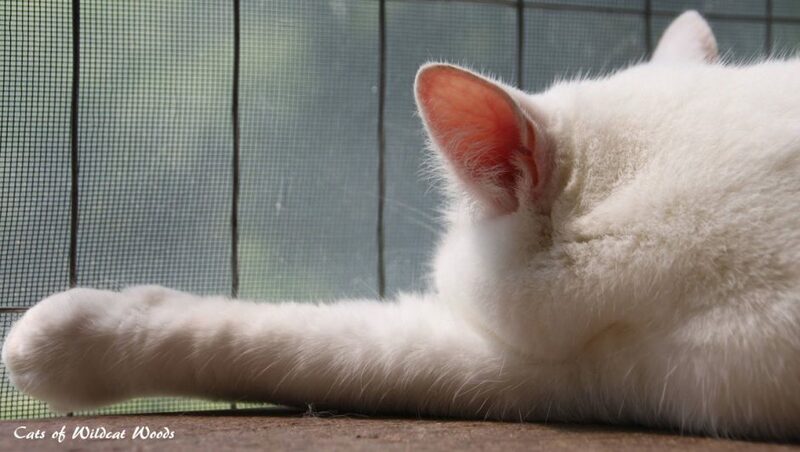 Is there a rescued cat that stands out in your mind? In spring of 2003 I noticed an older white cat with gray tabby markings sitting on the sidelines watching the others at meal times. When everyone left, this cat would come over and eat. I went out to talk to him and give him food away from the colony. He seemed so regal and dignified. He would slowly walk over and eat, never rushing or gulping the food. He was thin so I figured he was another cat that was dumped in our neighborhood. I inquired of my neighbors if they knew anything about this cat. No one did. One thing led to another and I enticed him indoors with food. He came willingly enough and fit in well with the others. My vet at the time felt he may have some health issues. His tummy felt hard but nothing showed in the tests. He was a sweet cat and since his bearing was so kingly I named him Clarence, after kings and royalty who lived long ago. Clarence filled our house with his quiet gentle presence. A year later, after some digestive issues, we found out he had a tumor in his intestines. Financially we could not swing surgery, so we opted for a natural treatment of homeopathy and herbs. He endured his herbal cocktails and remedies like a trooper, never getting upset with us. After six months of treatment, he was declared cancer free. I was overjoyed. Shortly after getting this good news, my husband and I took a short trip to bring friends back to North Carolina from Florida. The cats were cared for by a friend who lived nearby. While we were gone, Clarence passed away peacefully in his sleep under the chair in our bedroom, in his usual spot. I was devastated to lose him. When we came back I chose to have a necropsy done on him. There was no sign of the cancer but he had an enlarged heart – a sign of cardiomyopathy. We never knew this as he had no symptoms of heart issues. I wish he could have had a longer life with us. He left a big hole in our hearts with his passing. Is there anything else we should know about the sanctuary? 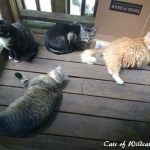 At this point with all 15 cats being seniors, we are not taking in any more cats so that we can better care for the ones we have now, providing them with all they need in their final years. 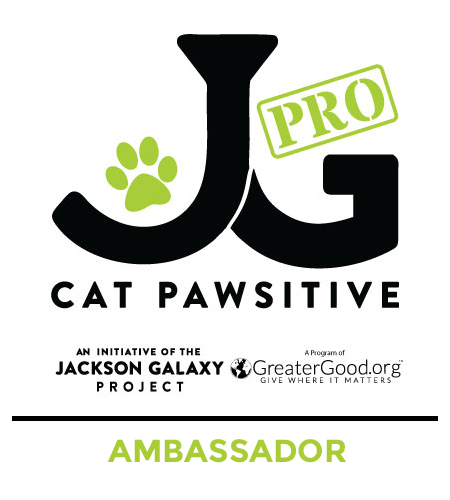 We are focusing on helping other groups through social media sharing and in actually transporting the cats coming through our area. My background before the cats came into the picture was in marketing, PR, writing and photography within the tourism industry. I feel all of that has been put to good use in doing fund raising, marketing and publicity for my cat sanctuary and in helping other sanctuaries. On the lighter side – I never had cats as a kid due to my mother’s allergy to them. My first cat was Chica, a tortie stray who found me when I was living in Florida while I was in my late 30s. I was hooked on cats from then on. 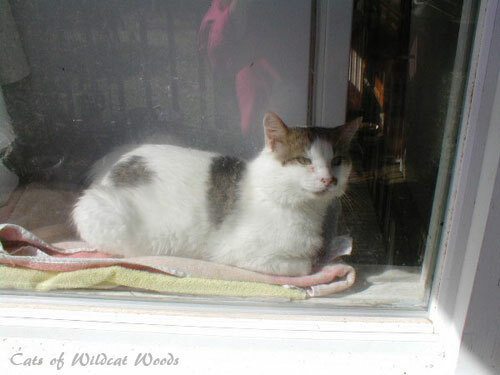 Thank you so much to Cheri for sharing Cats of Wildcat Woods with us. The senior kitties are so fortunate to be in Cheri’s care. You can connect with the group through their blog, Facebook and Instagram. You can also donate to their independent sanctuary at their blog. 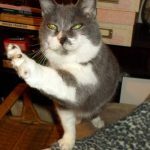 Do you know anyone who takes in senior cats? I always love reading more about the people behind the blogs that I love so much! What a wonderful sanctuary….the story of Clarence was so touching and heartwarming…..he had a wonderful home for that end period of his life and that was truly a huge gift for him – just as he was for Cheri and her family. Cheri and hubby are saints for caring so much about ferals. 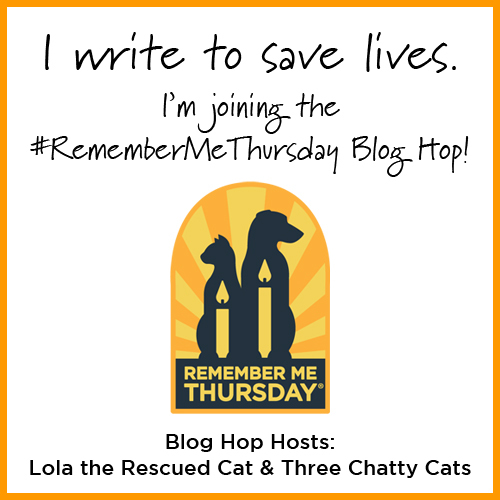 I, Savannah the cat, am devoted to helping as many feral cats as I can live a life free from reproduction…TNR and RTF work! 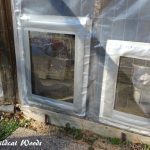 Wow, moving a feral cat colony and taking feral cats inside. Must be a wonderful person. Sorry you lost Clarence. He was well loved and cared for while he was with you. Best wishes as you continue to care for the senior cats. 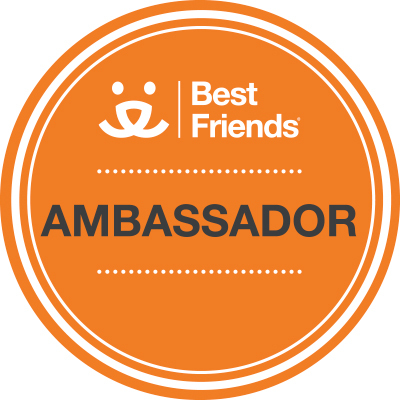 We love Cheri and the amazing work she does! Pawsome interview. 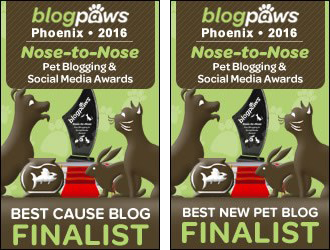 I love Cheri’s blog, it was nice to learn more about her and the kitties. I had never heard the story of Clarence, that is very sad, I wish she could have had him longer. Cheri and her husband do such wonderful work for these kitties. I loved learning more about them. Thank you so much for sharing this with us! Very nice write up about Cheri and Don. I have know them for years. We have 21 feral cats here and they do make wonderful pets if given a chance. There is a Momma kitty that has been around for 8 years ( caught her once and had her spayed) and she all of a sudden just came in the house.. I don’t believe in forcing the cats to stay inside since the feral cats do enjoy the outside with the hunting etc. and most don’t adjust to being inside but this Momma kitty does seem to like it..
We sure love them, they are the most wonderful humans! 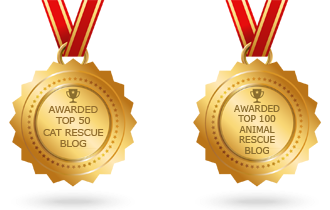 They helped us out many times in a pinch in finding places for kittens and a few feral big boys. We are so happy to learn more about the Wildwood Cats. What wonderful things they do for the ferals. Paws up to them. I follow the blog but did not know all this wonderful background ! What a great job they are doing ! Clarence is looking down and approving ! We follow the Wildcat Woods cats…we love them! 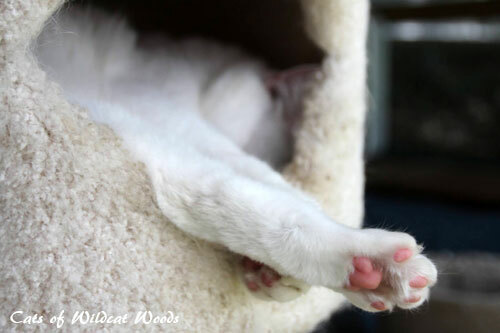 Paws up to Miss Cheri and Mr. Don for all they do for the kitties. This is so pawsome! 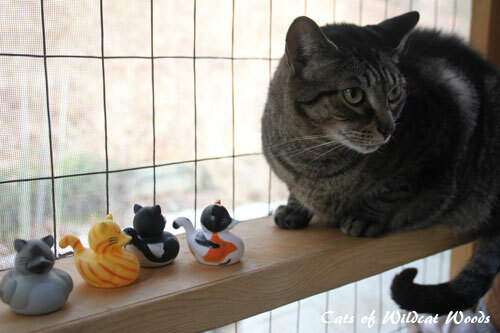 It is great that they were able to create this sanctuary for cats. Not everyone has what it takes to take on such a huge mission. People who love caring for ferals are a wonderful and special breed of human. Amazing story. Blessings to them for opening their hearts to so many cats. Very informative interview. Thank you. 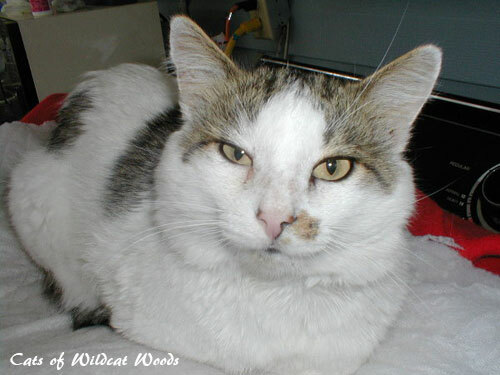 We’ve been enjoying Cat of Wildcat Woods blog for a number of years. She does a wonderful job taking care of so many. We have also followed The Cats of Wildcat Woods,but much of this is new to me. I didn’t know about the move – oh my gosh! Loved learning more about Clarence’s story, too. Oh my God! Chica is stunning, I can see how you were hooked! Tortoishells have an interesting personality. We always luv learnin’ more ’bout our furiends. Fanks fur sharin’. We read Cheri’s blog but didn’t know much around the sanctuary background. Cheri and her husband are angels for taking care of the ferals. Thank you for sharing this wonderful interview! Whoa! I know Cheri and that blog and I knew Chica. She lived a long and happy life thanks to Cheri and her hubby. I wonder if there are new cats living in the woods in back of the original house and if anyone is taking care of them since Cheri moved. You know another colony had to move in. Cheri and her husband were a godsend for those cats, for sure. Purrs, Seville.